WHAT: After embarking on an international tour arranged by slick talent agent Dominic Badguy (Ricky Gervais), Kermit the Frog is framed by his evil lookalike, Constantine, and shipped off to a Siberian prison. Meanwhile, Dominic and Constantine plot to steal a series of artifacts that will enable them to pull off the ultimate heist, using the Muppets’ tour to cover their tracks. WHY: Like many people, I walked into “Muppets Most Wanted” convinced that it would be a colossal disappointment. But while this follow-up to the 2011 Muppets reboot starring Jason Segel doesn’t quite live up to its predecessor, the movie comes surprisingly close. 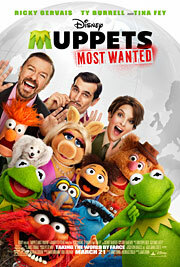 In addition to the screenplay by returning director James Bobin and co-writer Nicholas Stoller, which retains the Muppets’ trademark humor, charm and heart, Bret McKenzie provides half a dozen original songs that are incredibly witty and catchy, and among the film’s many highlights. The human co-stars aren’t as developed as Segel’s character, but Ricky Gervais, Tina Fey (as a Siberian prison guard) and Ty Burell (as a Jacques Clouseau-like Interpol agent) all fare remarkably well alongside their respective Muppet partners. If there’s one complaint, it’s that many of the supporting Muppets are relegated to the background in order to make room for all the new faces, though it certainly helps that Constantine is such a fun villain. It’s that sense of playfulness that makes “Muppets Most Wanted” such a success, and considering how bad things could have turned out, that’s a massive win for fans of Jim Henson’s felt-covered friends. EXTRAS: The Blu-ray release includes an “unnecessarily extended” cut of the film, a blooper reel, music videos and some other goofy bits, but nothing really substantial. WHAT: Ivan Locke (Tom Hardy) is a dedicated family man and successful construction foreman, but on the eve of the biggest job of his career, he receives a phone call triggering a series of events that threaten to shatter his seemingly perfect life. 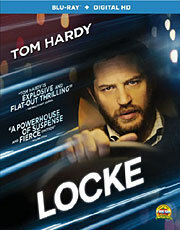 WHY: By far one of the most unique moviegoing experiences of the year, Steven Knight’s “Locke” takes a relatively simple premise and squeezes every last drop from its pulpy body, to the point that it’s actually quite incredible just how much the director was able to do with so little. The single-location setting is a bit gimmicky, but it serves a purpose as you watch the life of an otherwise decent man – literally trapped in a horrible situation but determined to make it right the only way he knows how – implode before your very eyes. 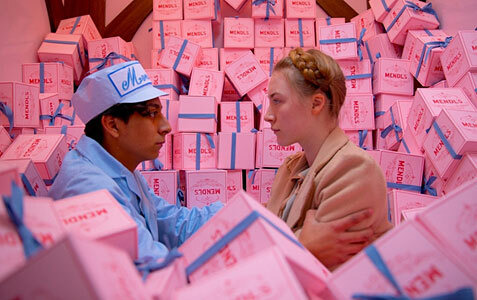 It’s nothing short of heartbreaking at times, and although the supporting cast (including Olivia Colman, Ruth Wilson and Andrew Scott, who appear as voices over the phone) is essential to making the film work, Tom Hardy is the heart and soul of the movie, delivering an absolutely brilliant performance that will leave you spellbound for the entirety of its taut 84-minute runtime. Though some of the plot turns feel contrived and it starts to drag in the final act, “Locke” is so immersive in its minimalistic approach that even the film’s flaws are more of a nuisance than a distraction. EXTRAS: There’s an audio commentary by writer/director Steven Knight and a behind-the-scenes featurette on making the film. Hats off to the sequel that begins with poking fun at its inherent shortcomings – in a musical number, no less – then proceeds to surpass its predecessor in nearly every way. “Muppets Most Wanted” has a plot that will challenge the kids without boring their parents, better songs (by a country mile), and a healthy dose of self-awareness. The main appeal of the Jason Segel-scripted “The Muppets” was its innocence and a longing for a less cynical time, but for the franchise to remain so naïve to the real world would have been disastrous. “Muppets Most Wanted” finds that ideal middle ground between their world and ours. The story begins, in a behind-the-curtain manner, at the very end of the previous film, as the first of many cameos calls a wrap on the first film and the Muppets are left pondering what to do next. In steps agent Dominic Badguy (Ricky Gervais, and he insists it’s pronounced ‘Badgie’), who suggests that the Muppets do a European tour. What the Muppets don’t know is that Badguy is a world-class thief, as well as the right-hand man to Constantine, the world’s most dangerous criminal mastermind and a dead ringer for Kermit the Frog. Constantine escapes from his Siberian prison, while Dominic sets up Kermit to be mistaken for recent escapee Constantine. 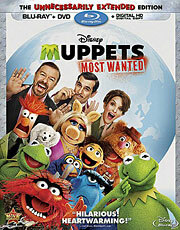 Kermit is sent to Siberia, and Dominic and Constantine revolve the Muppets’ European tour around the locations of the artifacts that will enable them to pull off the ultimate heist. Strangely, no one suspects that Kermit has been replaced, though certain members of the group smelled a rat from the beginning. Why doesn’t anyone listen to the drummer? Speaking as a parent, one of the great things about “Muppets Most Wanted” is how it shows kids the dark side of always getting what they want, which is that it comes at the expense of getting what they need. Kermit has always been a father figure to the members of his troupe, and that role is magnified here when he’s replaced with a cold careerist who wins them over by indulging their egos. The plot may mandate that the rest of the Muppets cannot tell right away that Constantine isn’t Kermit, but in their hearts, they know that this newfound freedom and lack of discipline is wrong. Parental win!